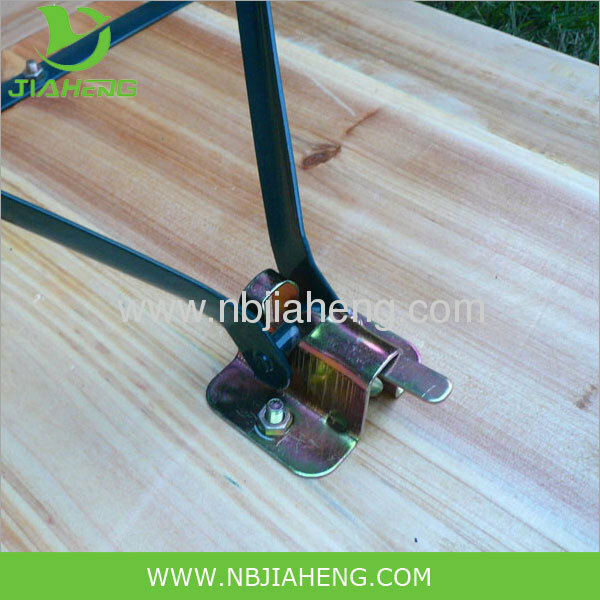 3) Material: Chinese Fir Wood or New Zealand pine wood. 4) Market: Mainly in Europe, America Australia. 5) High Quality and High durability, easy care. 8) Surface coated with varnish, every color is available. 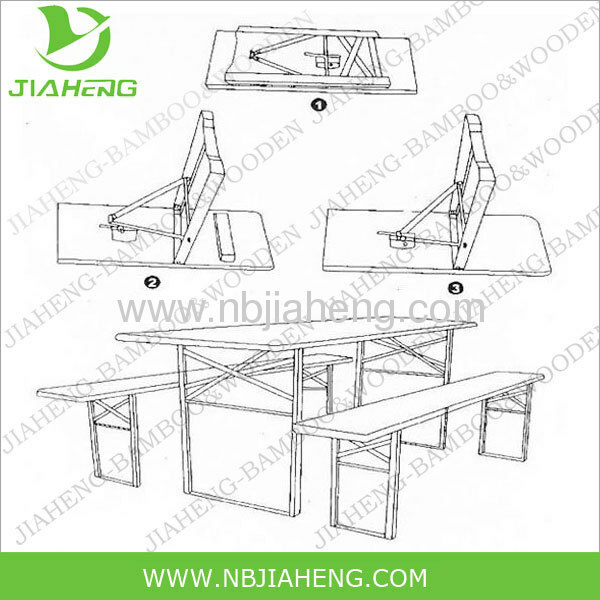 9) Packing: Fold legs, two points packing or full carton packing, it will depend on clients request. 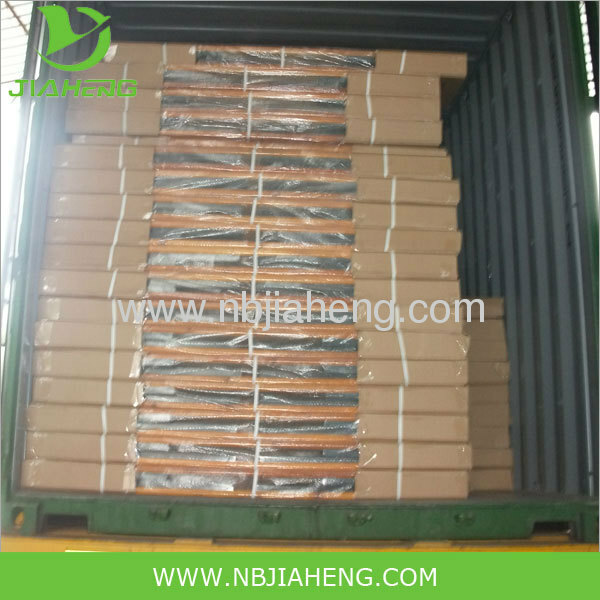 11) The shipment time is 30-45days for 40HQ container. 12) MOQ: 20ft Container each time. 13) Payment: T/T in advance, L/C at sight. Quality Explaination For Each Our Client. market in Europe and Australia. interested in our product and excited our service. 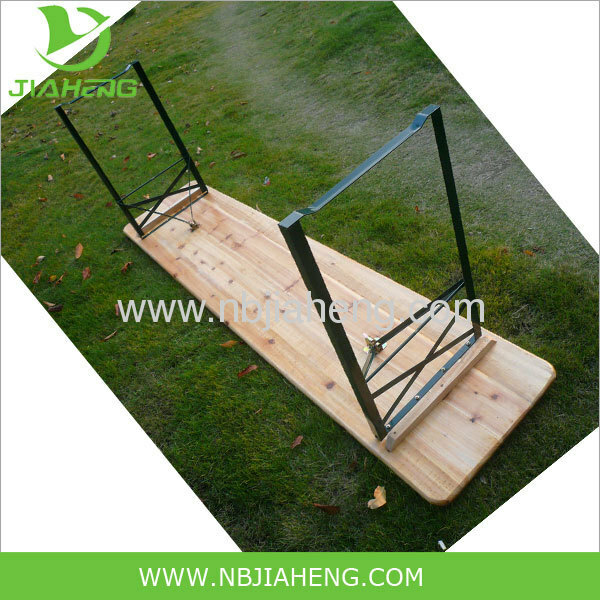 Every year we can produce around 80,000 sets wooden beer table sets. 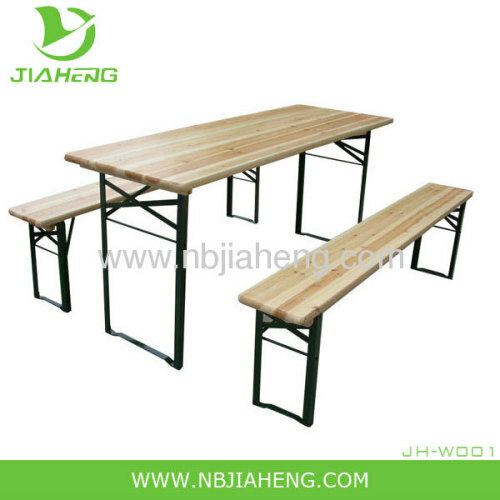 One set contains one beer table and two beer benches. 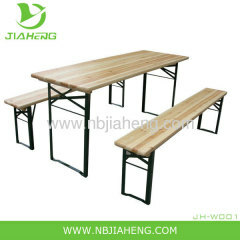 We import only best quality and long lasting beer table sets for our customers. 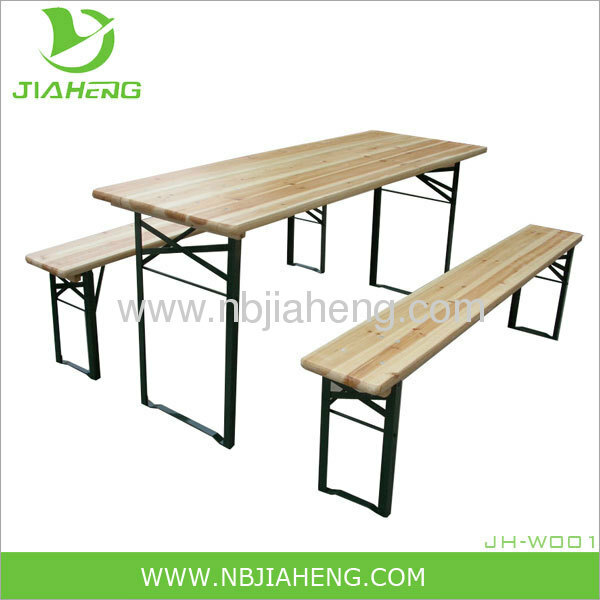 Benches and tables are made from Fin or Spruce and are refined with high quality varnish and UV protection. You will find the bavarian beer table sets across Europe's beergardens, beer tents restaurants and pubs. In fact,nearly every second household in Germany and Austria owns at least one set. Pls contact with us freely if you have more question need to know!